Large home with 5 bedrooms/ 2 bathrooms plus lounge, dining room/ full kitchen with kent fire at end of quiet no exit road. Great for kids with bikes available. Courtyard plus private grounds with 6 burner BBQ this is a quiet peaceful place on 14 hectares that guests are welcome to walk. Plenty of parking. Bikes available for guest use....23 in total. Bring helmets. 2 golf courses within minutes ( jump fence for one! ) and wineries all close by. 15 minutes west of Hastings / Havelock North. Lovely peaceful place, in the Country, biking distance to Winery's. The House was older and had a homely feel, Lots of rooms and beds. Great kitchen with the necessities . The bikes were not great, tire's flat, rusty. It was raining, so not needed in the end. Recommend this beautiful place .. So Amazing, the house is very unique and cozy! We thoroughly enjoyed our stay here, location is great, plenty of rooms and kitchen is well equipped. We really had a great time here. Everything we needed was supplied and if not was remedied quickly. Some updating needed, but generally clean and tidy. Both Fridges could do with being replaced as the one in the laundry was a bit manky. Generally, though we all had a great time and would book this again for a large group. 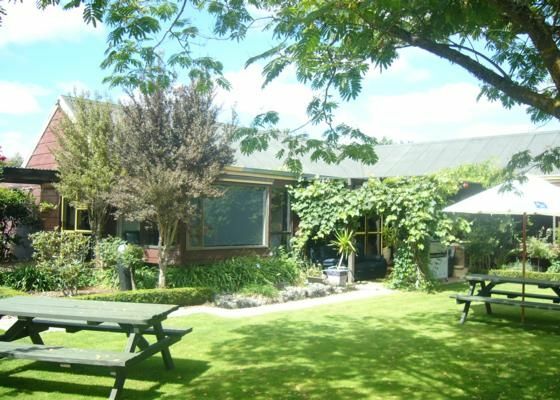 This is our second time staying here with a large group.Such a lovely setting in almost the vineyard.The house is well equipped with everything you would need for a large group.The location is very central to everything .Paul is very helpful and answered all our questions very quickly. Good House and cheap but bit old, enjoy our stay here.